Google’s SMS app, Google Messenger, has been updated today and brings with it the ability to send your location or stickers to those with whom you are texting. Now instead of having to type out your location, you can simply send it to someone so they can more quickly find you. This latest update is build is version 1.4.046 (2073855-38) for those keeping score at home and is available now in the Google Play Store. If you have not checked out Google Messenger and are looking for a more powerful option to the built-in SMS app on your Android phone, I would encourage you to give it a go. I reviewed it earlier this year and it remains my default texting app on my OnePlus One. open your location in Google Maps. Along with this new ability to send your location, you can also seen stickers (the face icon on the attach menu) to friends. These two new features really make Google Messenger a powerful app both for text messaging but also for sharing rich content quickly and easily. 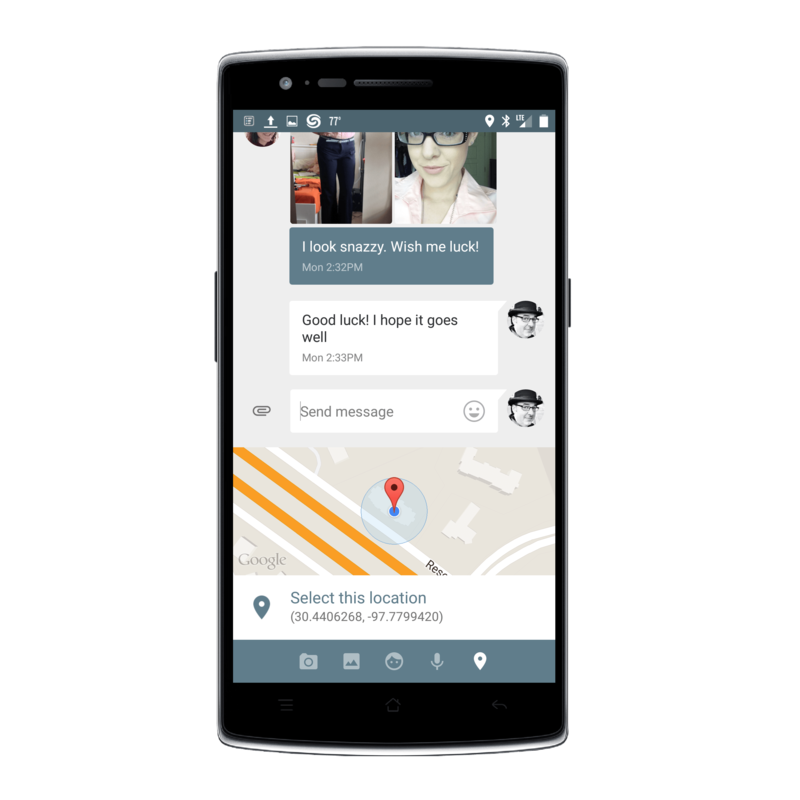 Google Messenger is free and you need to be running Android 4.1 or later to use it.